From our inception the goal was simple – create a great quality silencer with best-in-class suppression that could be purchased for less than the price of the tax stamp. The Guardian 22 was that silencer. After several thousand satisfied customers (and the lessons learned from them), the Guardian 22 has gotten a well deserved facelift. New for 2014, we’ve improved the best in class price / performance to implement changes you’ve asked for. The new Guardian 22 is shorter, stronger, and quieter. And we didn’t change the price. All baffles are encased K baffles, providing a “tube within a tube” for ease of cleaning and durability. You could spend hundreds more for another .22 suppressor, but ask your self one question – why? Whether you are looking for outstanding suppression, safety, upgradability, weight, length, longevity, or price, the Guardian 22 has it all. Just because you can take a silencer apart when it’s clean doesn’t make it user serviceable. How many manufacturers claim to have user serviceable silencers, but when you use it you find out their claims are just that – claims. Their special tools break, don’t work, or you didn’t buy them because they wanted extra money, on top of the price they charge. Or worse yet, you lose or misplace them. Even if the tool worked, you can’t get the silencer apart to clean it yourself, after as few as a couple hundred rounds fired. With the Guardian 22 full user serviceability is a reality. We are so confident you will be able to service the Guardian 22 yourself we offer the only clean silencer guarantee in the industry. If your Guardian 22 gets so dirty you can’t clean it yourself, send it back to us and we’ll clean it for free. Yes, free. Who else makes such a guarantee? No one. How can we do this? Absolute faith in our product. 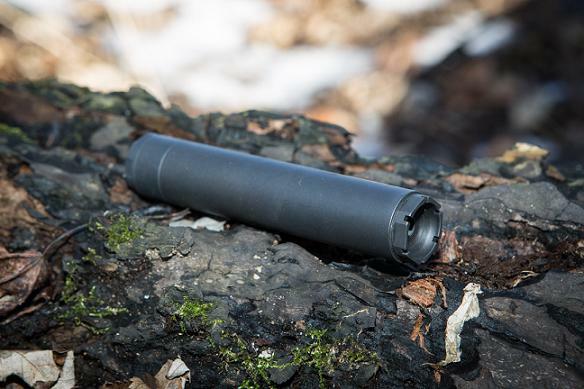 Your Guardian 22 can be upgraded at any time to the Guardian 22 SS or Guardian 22 Ti, giving you a path to the most capable rim-fire silencer we offer.